John Sinton will present a talk on the role the Mill River played in the formation and development of Northampton. Copies of Devil’s Den to Lickingwater will be available for purchase, and John will be happy to sign them. 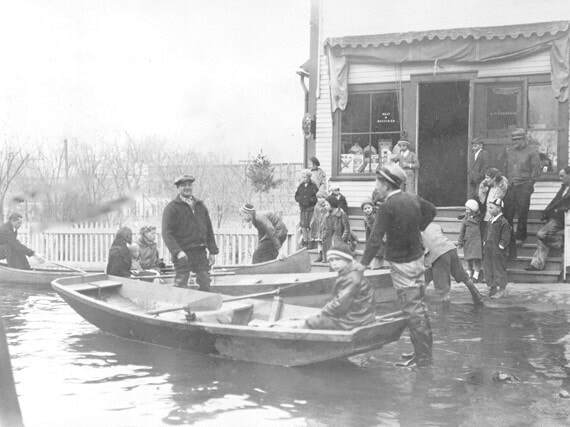 When English settlers first arrived at Nonotuck in 1654, they knew that they had come to a long-inhabited Native settlement that occupied a prized location in New England. Its geology had marked it as something special in the Connecticut River Valley, and Nonotuck had become part of the major crossroads of New England. In his presentation, John Sinton will talk about the physical creation of the Connecticut River Valley and of Nonotuck village. After the arrival of the English, Northampton came to occupy primacy of place in the Valley for its first one hundred fifty years. 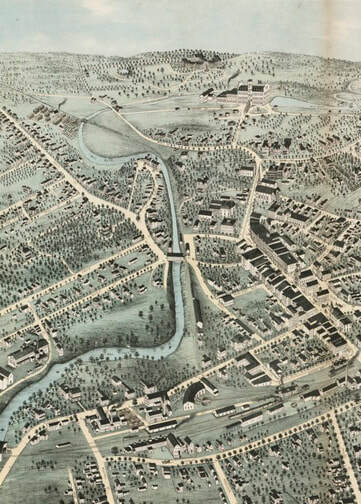 Fort Hill, Meetinghouse Hill, Lickingwater, West and South streets, Main and Bridge streets, King and Market streets, Hawley and Green streets all play their parts in the founding of Northampton. But why those streets? And why no typical New England commons? Other topics include the phenomenon of frequent flooding and the location of Little Venice, a well-known section of Northampton in the 19th and 20th centuries.The central section of the presentation will focus on the Mill River itself, its major diversions in 1710 and 1940, and the role the river played in the formation and development of Northampton. 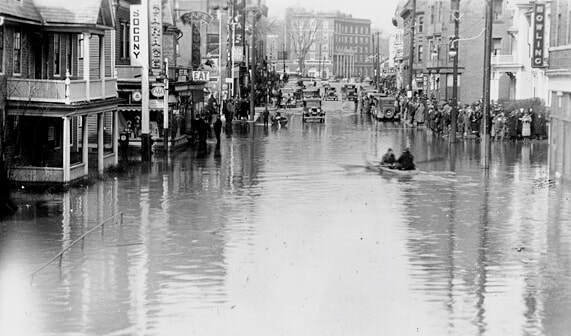 The 1940 diversion of the Mill River out of downtown Northampton marks a turning point in the story of the Mill River, but not its final chapter. The presentation will end with a question: Why does the Mill River matter? John Sinton is a retired environmental studies professor and a founding member of the Mill River Greenway Initiative. His new book Devil's Den to Lickingwater: The Mill River Through Landscape & History tells the multifaceted tale of the Mill River in Western Massachusetts, from its emergence after the glaciers 20,000 years ago to the present. Little escapes Sinton’s voracious historical appetite – the creation of the landscape, the disappearance and reappearance of native fish and animals, the Mill River as a Native American crossroads, the contrast between English and Native ways of managing the land, the transformations wrought by war, floods and industrial disasters, the extraordinary role of the Mill River in the Industrial Revolution, and exceptional personalities from Sachem Umpanchala to Calvin Coolidge: all this is told through the arc of the Mill River’s history—beloved, abused, diverted, and ultimately reclaimed as an integral part of the landscape.